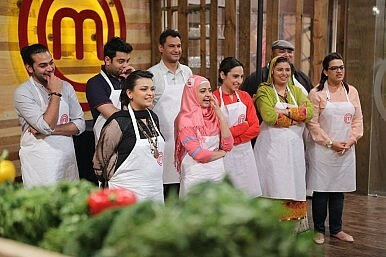 A young housewife wins the Pakistan version of the show, which found an enthusiastic audience. The immensely popular Master Chef television show franchise, which is being produced in numerous countries the world over, was received with much enthusiasm in Pakistan, when Master Chef Pakistan aired its first season this year on Urdu 1, a local channel on the national hook-up. With well-known Pakistani chefs Zakir Qureshi, Mehboob Khan and Khurram Awan featured as the reality show’s judges, Master Chef Pakistan’s season finale aired late last month, crowning a young, 30-something housewife from Karachi, Ammara Noman, as the show’s winner. Having been an avid watcher of international Master Chef shows, Noman says that she never watched them purely for entertainment. Instead, she’d get so absorbed in each episode that she’d imagine herself standing in the kitchen, as a participant, cooking as if her life depended on it. Currently still buzzing with joy and excitement over winning the title, Noman mentions that it was her husband who first saw the Master Chef Pakistan advertisement on TV, inviting amateur cooks in Pakistan to apply as participants on the show. The reason why Master Chef Pakistan worked so well was because it offered audiences something different: a culinary competition for home cooks with all the right twists of mystery boxes, working as teams against each other and of course, the much-dreaded time limitation. The show is a far cry from other, local cooking shows that one comes across on a regular basis – usually featuring one chef, Pakistani cooking shows are rather basic, lacking variety – they’re too rudimentary. Besides, reality TV has remained untapped in Pakistan’s entertainment industry for a long time, little wonder then, the success of shows such as Pakistan Idol or Master Chef Pakistan.